Our Supply Chain Security Group focuses on ensuring the integrity and security of critical cargotransportation and logistics at risk from threats ranging from terrorism, piracy, hijacking, internal diversion, and armed robbery. Security Dynamics offers highly-experienced, recognized experts in supply chain security. 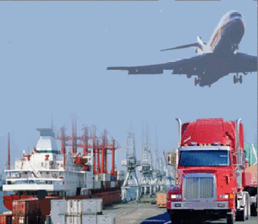 Our supply chain security principles apply customized client strategies, including strategic front-end threat and vulnerability assessments; cybersecurity; vetting and credentialing of personnel operating within the supply chain; screening and validating the contents of cargo being shipped; ensuring end-to-end transit security using both trained personnel and the use of state-of-the-art security devices, such as lock and tamper-proof seals; and, conducting comprehensive inspections along the supply chain. Specialized services include high-value supply chain security, including the secure movement of strategic and precious minerals, cash, artwork, and antiquities – even in high-risk and disputed regions. Security Dynamics LLC’s Senior Advisors have been featured on CNN, CBS News, NBC News, ABC News, The History Channel, NPR, ABC’s, ‘20/20’, and CBS’s ’60 Minutes’, and are frequent lecturers and instructors to both industry and government, and have testified before Congress and briefed the National Security Council on security issues. In 2016, the Security Dynamics team was chosen by one of the world’s largest seaports where it successfully completed a comprehensive strategic risk management plan. This effort was focused on the port and its intermodal supply chain components and partners. Team members worked closely with the host country’s government agencies and their senior officials, as well as dozens of private sector supply chain elements.